"Money makes the world go round," sang Liza Minnelli. "Money, money, money," sang Abba. 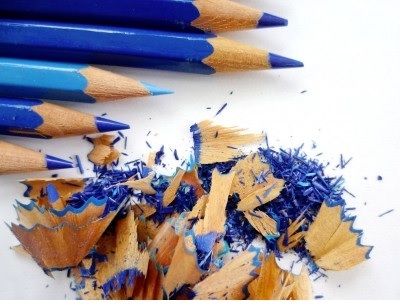 We'd all like a little more, and editors are as aware as politicians that people tend to vote with their pockets. Which goes some way towards explaining why it was that more than 10 per cent of national newspaper splashes in January concerned finance, personal and public, and the economy. That made it the leading topic for the month, just ahead of crime and policing, and way in front of party politics and showbusiness. The Express has always been fretful about pensions, but alarm bells were ringing across Fleet Street this month, especially after share prices took a dive in China. The Mirror, Mail, Telegraph and i all splashed on the subject at least once, but if anyone was any the wiser for reading most of these stories, then that bird hanging on the peanuts is a bald eagle. 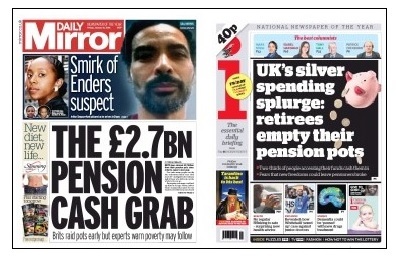 The Express set the ball rolling with a warning that there would be a pensions crisis for two decades. This, it said, was because employers could not afford to put enough money into their final salary schemes (which most businesses have done away with). The story is based on an article written by the pensions advisers Redlington, whose purpose was not to scare the workers, but to consider strategies for the fund managers who are their clients. The Express takes one finding from the Redlington study: that employers are paying less into pension funds than they did ten years ago and that they need to put more in and seek ways of improving the returns on their investments if they are to be able to meet their obligations. The report is not quoted, but one of its authors is, right at the end of the story. Neither the Redlington report, nor its co-author, nor anyone else mentioned in the story says there is a crisis or that it will last for 20 years (let's gloss over the fact that a crisis cannot, by definition, last for 20 years). What Redlington does say is that if employers' contributions remain constant and the returns on pension funds' investments remain at the predicted level, then it will take until 2035 for the funds to be in a position to meet their obligations in full. It then considers various options to remedy the situation. And, as the Express reports, if the funds fall short, there is a safety net which would pay 90% of the expected pension. 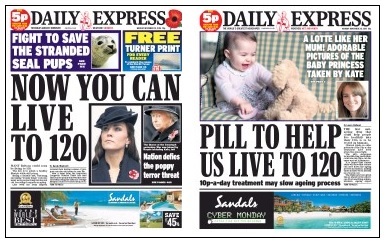 Yes, as the Express says, people may lose out. But offer most workers a choice between 90% of what they'd been promised under a final salary scheme and the vagaries of a money purchase scheme and you can bet which way they'd jump. This time millions were to get a pension boost, thanks to a "state pension revolution" coming in April. Three-quarters of people reaching retirement age over the next 15 years would receive higher payments, it said. More than three million men and as many women" would benefit, it said (why not six million people?) with low-paid women particular beneficiaries. But hang on a minute. Higher payments? Higher than what? Higher than today's payments? Won't all new pensioners get more - and from next year, let alone over the next - 15 years, what with links to inflation and all that? Suddenly three-quarters doesn't sound such a high proportion. Distinctly low, in fact. Ah, there's a catch. The rules on National Insurance contributions are changing, the inflation-proofing won't be guaranteed, spouses' rights will be curtailed. Indeed, a pensions expert quoted towards the end of the story says: "The Government continues to focus on the relatively small number of winners,..far greater numbers stand to lose out." Well, at least the paper is to be commended for including the comment that proves its splash is a little more than a government press release. The Telegraph meanwhile focused not on the six million winners (if that's a fair interpretation of "three million men and as many women") but on the 16 million who would be worse off. These, it turns out are people now in their 20s, 30s and 40s. Indeed three-quarters (that magic proportion) of people aged 24 will receive a lower state pension than people do today. The big winners are those in their 50s and 60s. That explains it all. 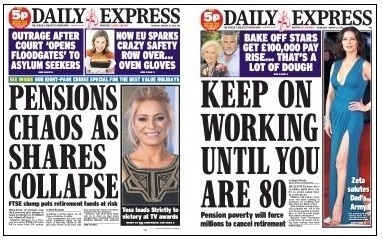 Three days later the Express is feeling miserable again, bemoaning the "end of the decent pension". We're back to the final salary schemes. Yet another pensions expert (the paper has an inexhaustible supply) is predicting that bit companies with final pension schemes are likely to abolish them because they're too expensive. Only 11 of the FTSE250 still have such schemes. Big news then. 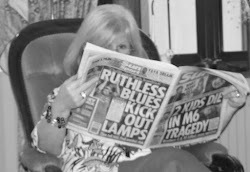 While all that was going on, the Mirror and i had been worrying about profligate oldies who, given free access to their life savings instead of being required to hand them over for a rubbish annuity, were busy spending the money on enjoying themselves rather than sitting by a one-bar electric fire eeking out the pennies in case they lived to 102. Then, the day after the Express was bemoaning the death of the decent pension, the Mail and i were bemoaning the death of the decent pension pot. A "stealth tax raid" was going to "punish the most prudent", including nurses and middle managers and others on "modest salaries", the Mail reported. This - like the stories about the three million men and as many women who would be winners and the 16 million losers - was based on analysis of a measure that had been announced months before. The "cap" on the amount anyone could have in their pension pot was to be lowered from £1.25m to £1m and those who went over that limit would face "huge bills", thanks to a "penalty charge of 55 per cent". There is, of course, no cap on how much people can save. But there is a limit to how much they can save with full tax advantages. When workers pay into pension schemes the money that goes in is untaxed. If you earn £45,000 a year and have just the basic personal allowance, you can expect to pay just over £1,000 in higher-rate tax and to take home £33,425. If you saved 6% of your salary in a pension scheme you wouldn't have to pay any higher-rate tax. You'd take home £1,637 a year less - but you'd have £2,700 in your pension pot. And that difference comes courtesy of the taxman. Or rather other taxpayers. Now obviously the more money you earn, the more you can afford to pay into your pension, the greater the "gifts" you accrue from the taxman. There has to be a limit to how much you can save in this way. It is called the lifetime allowance. Whether the cap on the lifetime allowance should be set at £1m or £1.25m or £50m is a political decision. No one is telling people how much they can put aside. The decision is how much they can put aside with tax benefits. As to the 55% "penalty charge", you are not "punished" for having too much in your pot. But if you have more than a million in there, and you decide to take the extra out as cash, all in one go, then you would have to pay 55% tax on that money (which does sound pretty steep). If you take it as income, the tax bill is 25%. As to the remaining million, on which you never paid a penny tax, the first £250,000 is all yours to do as you wish with. But you'll have to pay some tax as you draw on the rest, depending on how fast you withdraw it and what other income you have. The point of the story in the Mail and the i is that when George Osborne announced the lowering of the cap, the Treasury predicted that only about 55,000 of the wealthiest people would be affected. Now Aviva has calculated that up 1.5m people now earning £80,000 a year or more might approach the limit and should check their pensions (there's nothing to prevent you reducing your contributions to stay under it). Old Mutual reckons 460,000 might get caught, and yet another pensions expert (oh no, it's not another expert; it's the same chap who talked to the Express about employers' pension fund deficits) says: "The cuts are not a tax raid on the rich, but a stealth attack on the pensions of Middle England that will penalise the prudent." Ramping up the angst, the Mail cites "the most extreme example" of a thirtysomething on £45,000 who's putting away £6,750 a year could reach the limit by the time they retired. Yes, that is certainly an extreme example. How many thirtysomethings can afford to put 15% of their salary into a pension? And who knows what the rules will be in thirty years' time when they retire? There's nothing wrong with challenging government assertions. It's our job. Osborne's team has probably been misleading in the projections of how many people will be affected by this measure and it is right that it is called to account, but the case isn't well made by exaggeration. 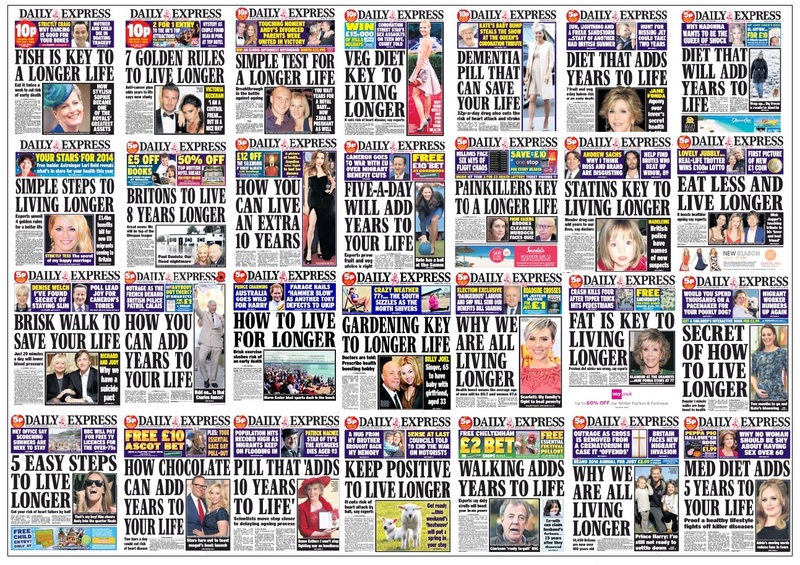 The next day there was more hand-wringing from the Express as the stock markets went into decline. Then, just to complete the gloomy month, it was concerned that many people were facing poverty in old age because they were healthier and living longer, but not saving enough. So you're damned if you spend it, damned if you save it, damned if you don't save it. The message of the month is that old people are going to be a drain on their families forever. 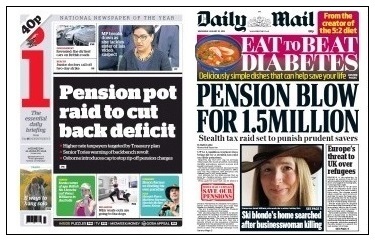 Of course the financial splashes were not confined to pension concerns. There were rip-off energy and water charges, more on the Chinese stock market collapse, bonuses for fat-cat bosses, petrol prices, house prices and worries about student loans and grants. And then there was the little matter of foreign companies not paying as much tax as perhaps we'd like. Perhaps we'd better tackle that one next time.